Megan graduated from the University of Wisconsin-La Crosse where she received her Bachelor of Science in Athletic Training. Growing up on a dairy farm near Houston, MN she developed a love for the outdoors and being physically active. In high school she participated in multiple sports, and ice hockey while at UW-La Crosse. In her free time Megan enjoys hiking, playing volleyball, traveling, and being with friends and family. After graduating from UW-La Crosse, she was the athletic trainer at Oregon High School (Oregon, WI) for 3 years. Starting with APTSM in 2013, she was the athletic trainer at Hortonville High School for 4 years. Her professional interests include strength and conditioning, nutrition, and working with athletes of all ages. She now serves APTSM in both the industrial setting and is the Sports Medicine Coordinator. Kayla is a graduate of the University of Wisconsin-Stevens Point with a Bachelor of Science in Athletic Training. She grew up in Colorado playing soccer, ice hockey, and riding horses. Kayla's professional interests include mobility, strength and nutrition as they relate to making "whole' athletes. Kayla spends her off time exercising, travelling, eating really good food, and playing with her two dogs. Kayla is the LAT for Appleton West High School and can be reached at the APTSM North location. Cassy graduated from the University of Evansville (IN), with a Bachelor of Science in Athletic Training. While in college, Cassy studied abroad at Harlaxton College in England, with an emphasis on sports psychology. An Appleton North alumni, and three sport athlete, Cassy has a passion for Lightning athletics. Cassy loves the day-to-day interaction with high school students and matches their energy and enthusiasm with her own. Whether helping student-athletes prevent injuries, returning them to play post injury, or just being an ear to listen, Cassy treasures contributing to their success. When Cassy isn't working, she loves to travel. She enjoys spending time with her husband, Steve, attending concerts and local festivals with family and friends. Cassy's competitive nature still runs strong with nightly Jeopardy and Wheel of Fortune competitions. Lucy graduated from the University of Wisconsin Oshkosh where she received her Bachelor of Science in Athletic Training. She is a current member of the National Athletic Trainer’s Association. Growing up in Kaukauna, Lucy enjoyed participating in volleyball, basketball, powerlifting, and softball. She competed in collegiate volleyball on the University of Wisconsin Oshkosh women’s club volleyball team. Lucy’s love for competition on or off the court and her passion for Athletic Training are a perfect combination to fuel her desire to keep her athletes healthy and in the game. When Lucy is not working in the clinic or at a sporting event she enjoys a playing volleyball, cheering for the Packers, cycling, running 5K's, dressing up for the July 4th Firecracker 5K with her family, listening to music and being with her friends and family. Mitch has personally trained over 50 collegiate level athletes. He also works with junior high through high school students one on one, or in a group class setting to improve their fitness level and sports performance. In addition, he offers personal training to anyone wishing to improve their lifestyle in a safe and effective way, tailored to their goals and their preferences. Combining his knowledge as a coach and personal trainer, he encourages clients to lead a healthy lifestyle through exercise and nutrition guidance, then apply this knowledge directly to workouts and personal goals. Mitch is also a national certified football and baseball coach through the National Federation of High Schools. He is the Head football and Head strength coach at Appleton West High School. He also holds a bachelors of Science in Business Administration and minor in economics and marketing. Mitch has been involved with Athletics since a young age. He was a 3 sport athlete in high school; and he also played football and baseball in college. He enjoys watching sports, walking his dog, and working out. Sally graduated from the University of Wisconsin – Oshkosh with a Bachelor of Science in Athletic Training and a minor in Strength & Conditioning. This was followed by two years as a graduate assistant Athletic Trainer at Eastern Michigan University. She spent the next eleven years working as a high school Athletic Trainer and Strength and Conditioning Coach. In addition to being a NATA Licensed Athletic Trainer, she is also a NSCA Certified Strength & Conditioning Coach and FMS certified. Sally grew up on a small dairy farm in Wisconsin and participated in several activities growing up including baseball, cross country, track and weightlifting. She believes that people of all ages and physical abilities can benefit from being physically active. She enjoys working with all ages, and has a special interest in injury prevention and nutrition. In addition to her role as Assistant Strength & Conditioning Coach at Appleton West High School, Sally also provides services as an Industrial Rehabilitation Athletic Trainer for APTSM. Kevin graduated from the University of Wisconsin La Crosse, with a Bachelor of Science in Exercise Sports Science Teaching. His emphasis was coaching and adapted physical education. Kevin played football at UW-La Crosse and went on to earn his Masters in Education and Health Science. He has international experience managing challenge courses and team building as he traveled the world as a general manager for an adventure company. Kevin also has experience with multiple athlete training organizations. An Appleton North alumni and three sport athlete, Kevin is invested in Lightning athletics having been a coach for multiple sports. He has a passion to help students learn how to maximize their potential in a safe way and is excited to work with all athletes at all levels. When Kevin isn't working, he loves to spend time with his wife and 2 daughters having an adventure. He is strength and conditioning coordinator and health teacher at Appleton North. Kyle is a graduate of the University of Wisconsin-Stevens Point with a Bachelor of Science degree in Business Administration. He spent thirteen years in the real estate business prior to becoming a certified personal trainer with the American Council on Exercise. Growing up in Kaukauna, Kyle enjoyed participating in a variety of sports and activities. In his spare time, Kyle enjoys spending time with his wife and two young kids. They enjoy the outdoors, hiking, camping, spending time at the beach, and being as active as possible. Kyle’s personal interests include any form of exercise, nutrition, golfing, basketball, standup paddle boarding, and snowboarding. He is also an avid Packer, Badger, and Brewer fan. Kyle is currently an Assistant Strength and Conditioning coach at Appleton North High School. Jake grew up in Waterford, Wisconsin. He earned his bachelor’s degrees in Kinesiology and Physical Education at UW Oshkosh while playing both collegiate football and baseball. Jake believes in keeping athletes healthy, fast, and strong on the field and the court, and that begins and ends with the work done in the weight room. Jake’s motto is simple: “I make athletes better athletes.” Jake likes to spend his free time outdoors doing things like boating, hunting, camping, and attending local sporting events. Andrew is a 2015 graduate of the University of Wisconsin-Milwaukee with a Bachelor of Health Science in Kinesiology. This past year, Andrew also graduated from Concordia University – St. Paul with a Master of Arts in Sport Management. He is currently in the process of becoming a Certified Strength and Conditioning Specialist through the NSCA. 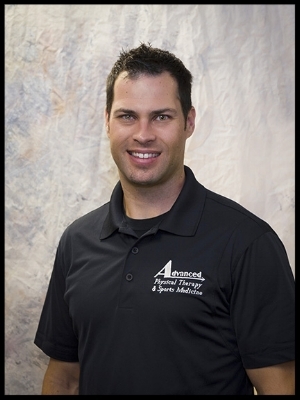 Andrew’s professional interests stresses injury prevention, mobility, and movement over mass. Growing up in Hortonville, Andrew was a three-sport athlete and played baseball, football, and basketball. Andrew also competed at the collegiate level on the University of Wisconsin-Milwaukee club baseball team. Andrew spends his time off by continuing to play baseball, exercising, fishing, and hunting. Andrew is a strength and conditioning coach at Appleton East High School. Kate has been a member of the APTSM team as a Licensed Massage Therapist for many years. In addition to that important role, she also serves as the outreach Licensed Athletic Trainer for St. Mary Catholic High School. Joe joined APTSM in 2016 as an Industrial Athletic Trainer and also helps with athletic event coverage. Joe grew up in Colorado with a passion for sports and the outdoors, he graduated from the University of Colorado in Colorado Springs with a BS in Human Biology in 2009. He currently lives in Greenville, WI and completed a second BS degree at UW Oshkosh in Kinesiology with an emphasis in Athletic Training and is a Licensed Athletic Trainer. Joe’s passion for helping others and desire to learn about the human body fuels his interest in sports medicine. In his spare time he enjoys exercising, getting outdoors, rooting for his Wisconsin and Colorado sports teams and spending time with his Wife Jen, step- daughter Madalyn and twin sons Jax and Knox. John joined APTSM in June 2018 with a focus in Industrial Sports Medicine as well as LAT event coverage. He grew up in Ontonagon, MI, and enjoys outdoor activities such as hunting, fishing, hiking, and four-wheeler riding. He also enjoys sports such as hockey, football, baseball, and basketball. John graduated from Lake Superior State University with a Bachelor's degree in Exercise Science with a concentration in Athletic Training, as well as a minor in coaching and two Associates degrees in Health & Fitness and Liberal Arts. John has a real passion for manual therapy as wella s other hands on aspects that he field of Athletic Training has to offer. John spends his free time participating in any sports tha the can as well as enjoying the outdoors with friends and family. He also loves to cheer on his favorite Wisconsin sports teams in the Bucks, Brewers, and Packers. Tasha received her Bachelor of Science degree emphasizing in Athletic Training from the University of Iowa in 1995 and went on to graduate from Boise State University in 1999 with her Master of Science degree in Exercise and Sports Studies, while working as a Graduate Assistant Athletic Trainer. In 2007, she added an Associate Degree in Applied Sciences for Physical Therapist Assistant. Since moving to Wisconsin in 1999, she has work as an LAT at the high school level and as well as in the physical therapy clinic. In 2007 her primary roll has been treating orthopedic patients in a physical therapy setting as a PTA and providing relief-on-call athletic training coverage. She joined APTSM in 2017 in the Neenah clinic as a PTA and continues to provide athletic training coverage as needed. She enjoys working with clients of all ages to help them improve their mobility and general health and wellness through exercise and functional movement. She has a special interest in hands-on treatment and soft tissue work, allowing her to utilize her massage therapist license and training as well. In her spare time, Tasha enjoys being a mom to her two children, running, skydiving, teaching group fitness classes and providing personal training to members of the Neenah-Menasha YMCA. 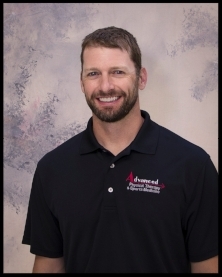 Joshua joined us in 2011 after completing his Masters in Kinesiology at the University of Wisconsin-Milwaukee, with an emphasis in Biomechanics and Human Motor Control. Prior to graduate work, he received his undergraduate degree from UW-La Crosse in 2009. At La Crosse, he received his Bachelors Degree in Athletic Training with a Minor in German..
With many ties to the Fox Valley, graduating from Xavier High School in 2005, he was a member of the 2-time State Champions Soccer team. Ironically, his passion for Sports Medicine resulted from time spent away from soccer with a concussion. He currently serves APTSM in the industrial and marketing settings, and helps as well with the YMCA-APTSM Partnership. He enjoys the clinical facets of sports medicine, and is also is a technological enthusiast. In his spare time, he likes to spend time exercising, travelling, following international soccer, and spending time with his wife, children, and terrier. Traci Tauferner graduated from UW-Oshkosh with her Bachelors of Science in Athletic Training and Strength & Conditioning. She is certified in FMS, SFMA, and FCS, as well as Yoga and DSI certified. She provides companies with a proactive approach to wellness and injury prevention for their employees. She primarily works with tactical clients including law enforcement, paramedics, and firefighters. Traci is the head athletic trainer for Wisconsin Women’s U23 rugby and Mid-State Sisters of Skate roller derby. She is an enthusiastic advocate for several non-profit organizations in the Portage County community as serving others is a passion of hers. She is also a veteran of the Wisconsin Army National Guard.